At the very heart of Reiki, there is an accepted cosmological concept that a vital field of energy pervades the universe known as Ki. It is viewed as the underlying ingredient that not only permeates and connects the Universe together, but also actively forms part of all living things. Ki is the thread connecting all beingness, its flow is present and active in all activity throughout the cosmos. Ki, creates resonance between things causing situations and events to coincide spontaneously, linking them and generating the optimum opportunities for growth and development. In allowing flow we are participating in the unfolding of Creation’s epic story. 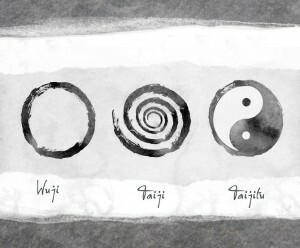 In ancient China a model that explained the existence of the heavens and the earth was derived from the concept of a single source of energy consciousness known as Tai Yi, [the primordial unity of Yin and Yang]. It was understood everything was created from this great oneness, being part of it as consciousness and at the same time existing within it, floating about linked together in a great ocean-like field of Ki we call Creation. Reiki teaches us that dis-ease is a result of dis-connection and the solution lies in simply re aligning ourselves to Ki flow, which serves to naturally reconnect us to the Universes unfolding story again. Instead of being ‘Apart From Creation’, we become ‘A Part Of Creation’. As we cultivate our relationship to Ki and listen to its rhythms, we start to align ourselves with the spontaneous rhythms of the universe. We begin to recognise the voice within and even though we may not know where the flow is taking us, by trusting and surrendering to it, our actions become aligned with a greater universal truth. It’s like diving into something because its depth is drawing us ever deeper. Aligning ourselves to Ki awakens wholeness within us and our inner development becomes an act of letting go of all that isn’t whole. Just like a sculptor carves away at a rock and reveals what he has always seen hidden within it. Letting go of external distractions and interferences is part of our inner refinement and alignment to flow. We have to unplug ourselves from the social matrix, switch off the transmissions and distractions that have been designed to occupy us. Ki flow helps us to become more aware of the destructive elements in our surroundings, noticing where our inner and outer worlds lack congruency. As we tune in, we begin to recognise the need to make more resourceful and loving lifestyle choices. Suddenly old patterns of behaviour are no longer appropriate to what we are becoming. Adjustments in our routines are inevitable and we may find we drop aspects of our old self. Everything comes up for review so we can decide what stays and what goes and what supports the refinement taking place within. Ultimately, a natural balance occurs between the progress on the inside through the practices used to cultivate Ki and the change on the outside through lifestyle choices and environments we choose to put ourselves in. As we begin to listen to this inner flow and allow it to inform us, there is a natural alignment between our inner and outer worlds that reflects those choices we make. Part two of my monthly theme of living with Reiki is about how to set up your perfect day. There is a great metaphor given by Esther Hicks where she describes momentum. She explains that in many ways our thoughts, feelings and intentions for the day gather momentum much like a car rolling down a hill. It is possible to step in front of a car when it first starts to roll and stop it rolling any further, but if the car is allowed to pick up momentum no one in their right mind would try and stop it. In much the same way we stand a better chance of stopping the momentum of negative, thoughts, feelings and intentions if we catch them early. If we allow them to build momentum then it becomes very difficult to do anything about them. Author of ‘breaking the habit of being yourself’, Dr. Joe Dispenza was once asked during a seminar what his personal routine was to set up his day. He said; “I don’t get out of bed until I have got my head right” This really resonated with me because I know from personal experience, my day reflects my mental and emotional state. 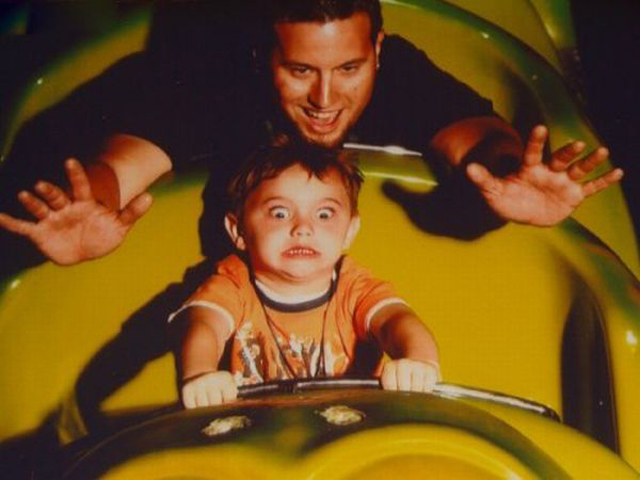 If I start the day without first getting my thoughts and emotions right, then whatever state I am in will just build momentum and my day could become a complete roller coaster nightmare. The Reiki practice has great tools for preparing ourselves but so often we forget to use them and many people only utilise them when giving treatments to others. When we realise living with Reiki is about using the practice each and every day of our lives we can begin to appreciate what a great tool it is. So what can we do to get our head Right? The inclusion of the 5 precepts in our Reiki practice teaches us to consider what is essential for our well-being. To reset our thinking, to focus our minds and emotions on the principals for health and happiness. They do not need to be chanted but simply contemplated. The best place to do that is in Gassho. Gassho is so incredibly valuable to our practice and as well as serving to generate energy flow this Mudra is a place where our intention is established and we focus our mind and return ourselves to balance. It is a traditional gesture formed by placing the palms of the hands together with all fingers pointing upwards. It symbolises the oneness of all beings and is often used in the East as a humble greeting, a sign of respect or to give thanks. Called Namaste in Sanskrit. [‘Namah’ means bow ‘te’ means to you]. It literally means, “I bow to you” and is regarded as an honouring of the divinity in someone we meet. The two hands brought together are symbolic of our human and Buddha nature. The left hand represents our human nature and the right hand our Buddha nature. Bringing them together over the heart is symbolic that both aspects reside within us and we are never far away from our Buddha self. It is essential to remember is it is not the quantity of time but the quality of time that you give yourself that gets your thinking right. Even when you think you don’t have time, MAKE TIME each and every day to be still, connect to Reiki and consider the 5 precepts. Sit quietly and place your hands in Gassho (Prayer Position) over the heart and bring your attention to your breath. Whist breathing in, imagine drawing in energy, through the full surface of your body, from all around you to your Hara (Belly). Begin to consider the five precepts and the significance of them in your life for the day ahead. Bring all of your attention to your belly, feel grounded and supported by the earth below you. See yourself as an intimate part of the world and connected to everything and everyone in it. When you feel centred, balanced and connected, your ready to start your day! Over the years as a result of the Reiki classes I run, I have witnessed a fair number of people having moments of revelation, accompanied by a deep desire to drop everything, change the course of their life and head off somewhere to heal the world or open a healing centre. It’s a lovely idea and in those instants I watch as imaginations get to work and the inevitable idyllic visions of the possibility of living bathed in the utopia of Reiki all day long are born. I know exactly what that feeling is like because I had it myself. In fact I did drop everything to change my life and head off to live in community with other like minded people. I embraced wearing socks with Birkenstock sandals, grew my hair long and ate a purely vegan diet. I meditated every day, wore a crystal pouch around my neck and communed with earth angels and devas. I was constantly hugging people and developed the art of gazing deeply into the eyes of another for ridiculously long periods of time. I knew all the words to ‘Puff The Magic Dragon’, retreated in solitude to the islands of Iona and within a year my metamorphism from London Fashion Photographer to Way Out Tree Hugging Hippie Healer was complete. As amusing as it sounds, I was loving my life, I felt deeply connected and had a sense of purpose that for the first time felt absolutely right to me. But the decision to depart this Spiritual Oasis I lived in occurred as rapidly as it had arrived. The catalyst for me was the departure of a group of American students with whom I had built strong bonds. My heart had felt that deep sense of aloneness that only goodbye’s can give you and I understood in that moment Living with Reiki was less about creating a sanctuary outside of myself and more about creating it within. I learnt to locate a place within that told me I was connected. 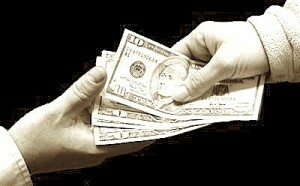 When self treating, I could give Reiki to myself and feel it filling up. I started to view it as a sanctuary inside of myself and in time, it became my source, my healing centre. I realised as long as it was there, I had no need for an outer sanctuary. In the ensuing years I lent my experiences to others facing the urge to drop everything and make dramatic life changes. I encouraged a more balanced approach than the one I had taken, allowing Reiki to transform them without causing great disruption and fall out in their day to day lives. 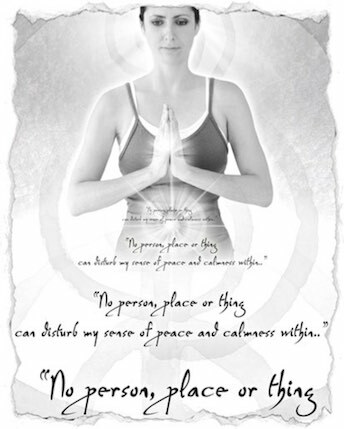 When we attend a Reiki course we are provided with a safe space in which we can be open, share and feel supported. It is deeply nurturing and most of us who experience it want to remain there for as long as we can. But just like returning from a weeks holiday on the beach can be difficult, many are immediately challenged by the need to go back home after a workshop. I have heard so many stories of people getting home and their stressed out partner says, well I am glad you had a nice time, welcome back to ‘the real world’ and hands the sugar laced kids over. But here’s the thing, Reiki is as much a part of ‘the real world’ as anything else, it’s just a case of grounding it into our reality. Some compromises may be required depending upon where we live. We might have to consider those around us who haven’t been zapped by the Reiki Ray! We may need to find flexibility in our Reiki practice, make it less dogmatic, refrain from trying to convert everyone to our Reiki Religion and generally be a little more subtle in our approach. For me, it meant the socks and Birckenstocks had to go, the crystal pouch around the neck was replaced by a deep knowing that Reiki was in my heart. The deep gaze into another’s eyes for long periods of time replaced by a handshake or an appropriate hug. As we ground and integrate Reiki into our lives we learn to use our increased sensitivity to navigate by and our vulnerability becomes an opportunity to inspire openness in others. We become to the best of our ability an example of the precepts. When faced with challenging and unsympathetic environments we are taught humility and to reflect upon the strengths of our beliefs. A Reiki workshop is designed to offer us a glimpse into the possibility of a way of being where we live with awareness of being intimately connected to everything in this Universe. In a workshop we can bathe in the luxuriousness of all the participants focused on the same intention of love and healing. But the real work starts when we go home. Integrating what we have learnt and ensuring we complete our spiritual homework. 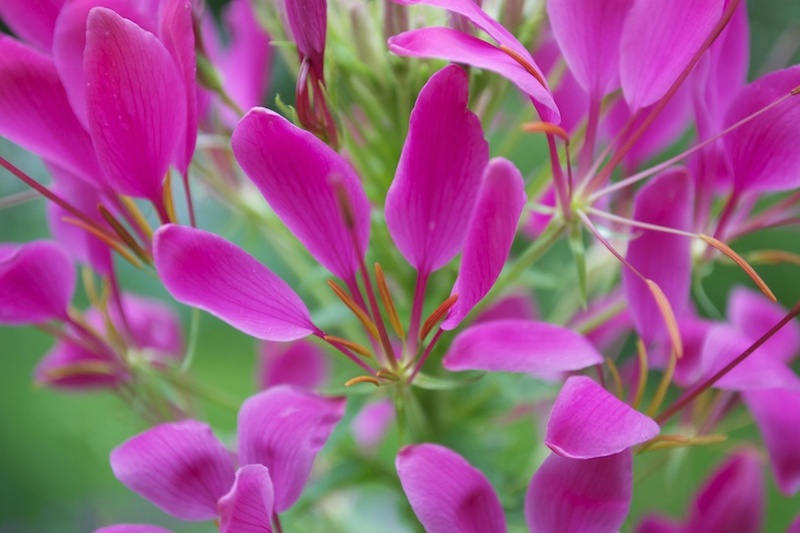 Creating an inner sanctuary, a healing centre within, is an essential part of that work. So the next time you meet people or situations that challenge you and are difficult to digest, remind yourself. How I respond right here right now is the full measure of my personal development. Drop into your inner sanctuary in that moment and see it as an opportunity to demonstrate a way of being that echoes your beliefs. All Eastern philosophies related to the gathering and utilisations of Ki have one essential element at the core of their teachings. The accessibility of the vital essence of life requires that we be in the present moment in order to notice it is there. The present moment is the place where we reconnect to our essential nature and, by virtue, reconnect to flow. In order to experience Ki, we have to shift our focus away from the external distractions and dramas of everyday life and realign ourselves within. To our surprise when we do, it takes very little to achieve deep connection inside, but the nature of the beast, is such, that we find life’s dramas exact a strong pull on us and discipline is required to remain present. 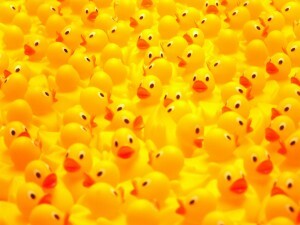 A dear friend of mine’s favourite saying was “Get your ducks lined up”. Because when ducks aren’t lined up and they are all swimming this way and that, quacking, going around in circles they cause chaos. Getting our own ducks lined up requires us to bring our minds back to the present, find our centre and reconnect to the flow through our internal energy system once more. When we do get back into the flow, we see how out of sync we had been previously. Being in the flow is an example of Wu Wei, efficiency in action because the flow of energy through us is the same flow through everything. Finding our inner flow involves encountering stillness by letting go of external distractions and interferences. We have to unplug ourselves from the social matrix, switch off the transmissions and distractions that have been designed to occupy us and make time to mindfully experience ourselves, and just be. Fortunately there are many ways we can create the space to settle within. Having a body balancing session like reflexology or massage. Booking a Reiki treatment to open our energy system to flow and bring our mind back home or going on retreat to just simply be for a while in the stillness of ourselves are just a few of the tools we can use to reconnect to flow again. Flow informs us of personal choices we can take, which naturally alter the way we feel and think about ourselves. We may find we wish to invest more of our time and energy in maintaining our sense of wellbeing and health. As we refine we become more aware of the destructive elements in our surroundings. We begin to notice where our inner and outer worlds lack congruency. As we tune in, we begin to recognise the need to make more resourceful and loving lifestyle choices. Suddenly old patterns of behaviour are no longer appropriate to what we are becoming. Adjustments in our routines are inevitable and we may find we drop aspects of our old self. Whether it be smoking, drinking, the foods we eat, the programmes we watch on TV, social media, negative thinking, conflicts, bad company, too much stimuli etc.. It all comes up for review so we can decide what goes and what we can replace it with that supports the refinement taking place within. Ultimately, a natural balance occurs between the progress on the inside through the practices and lifestyle choices we use to cultivate flow and the change on the outside and the environments we choose to put ourselves in. As we begin to listen to this inner flow and allow it to inform us, there is a natural alignment between our inner and outer worlds that reflects those choices we make. To be cheerfully Chi full, we have to turn to life sustaining behaviours. In other words, to be Chi full requires us to live a life that fosters Chi. The following is a nice simple visualisation meditation you can use to clear your central channel and help get your ducks lined up. This is a purifying technique using visualisation and breath to clear and strengthen your energy. There are several variations that essentially follow the same route. This is the one I use. Ensure you won’t be disturbed and induce a relaxed state prior to starting with self-meditation breathing into your Hara. Sitting down on a chair hands on your lap, visualise a sphere of white light above your head. See the sphere descend down through the crown radiating purifying light in all directions clearing all blocked energy. See the sphere descend through the centre line of your body, clearing and purifying as it goes. See the sphere expanding filling your whole body with light. Expand the sphere further out boundlessly to infinity until all you experience of yourself is light and your intimate connection to everything.
. Be aware of your breath, the sensations in your body and in your own time, when you’re ready open up your eyes. 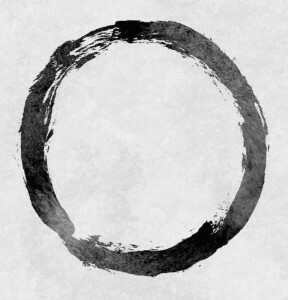 ‘Wu Wei’ The Way Of Emptiness. One of the Kanji found in the middle of the Reiki pictograph is the character Wu which literally translates as ‘Shaman’. Wu also refers to the empty void from which flows the primordial essence of the universe and becoming one with this essence is the principle path of Taoism. In keeping with my theme of emptiness this month, I would like to discuss the ‘Wu Wei’, which epitomizes the Taoist philosophy of becoming empty like bamboo, so that we can feel the flow of primordial essence through us. ‘Wu Wei’ is the art of non-action or following the path of least resistance. It refers to the cultivation of a state of being in which our actions are effortlessly efficient and in alignment with the natural flow of our environment and is achieved by first becoming conscious of an inner flow within. It is said when we do, the potential is there for us to become aware of our intimate connection to everything in the outer world and realize we are part of the universes unfolding story and an expression of its infinite creativity. The more still and empty we can become, the more we are aware of our own formlessness and the more we are able to sense this creative expression of universal energy through us, as flow. I love this appreciation of emptiness because it encapsulates the approach we must cultivate when it comes to practicing Reiki. So often we can get caught up in our own ability to give Reiki that we inadvertently make the healing about ourselves, even though we are told throughout our training that it is not us that is doing the healing and to let go and trust Reiki’s innate intelligence to know what is needed and where to flow. So can we learn from the Taoist philosophy of Wu Wei? Can we embody the notion of emptiness, not make it about us, get out of the way and allow space through which Reiki can flow? I believe this is the real key to successful Reiki treatment. To experience the quality of the interaction whilst reminding ourselves; everything that takes place is what is required. Being empty means we let go of preconceived ideas of what is to take place. It is to realize that trying to direct Reiki is as futile as trying to push a river, for like a river, Reiki flows where it will. Being empty is to surrender and allow an unfolding of the healing process that is congruent with the needs of the client. The more we push someone towards some desired outcome, the less congruent we are. The more we try to fix someone and send them home healed, the more we have robbed them of their own opportunity to heal themselves. Wu Wei is effortless action, acting when the time is right and achieving, without the appearance of trying. When we allow ourselves to be inspired by spirit [in-spirited], we are allowing ourselves to become in that instant intuitively directed by the flow of energy through us. The emptier we become the more we are guided to be appropriate for the given moment because we are present with what is. The emptier we are, the greater the Ki flow and the greater the potential response. The person who is most effective at becoming empty and open is usually the one who is not trying because quite simply, Ki flow is interrupted by our own needs and wants. It’s not easy to be deeply surrendered and not make things about ourself. It’s not easy to release outcomes and simply hold a space for someone else unconditionally. We like to feel useful, we like to think of ourselves as making a difference. We want to know that we have helped facilitate change. But all that just gets in the way and prevents us really being completely open and surrendered to what is. Wu Wei as a concept, teaches us that rather than trying to force a result upon another, we must allow it to unfold naturally. Allow flow to reveal what is required and guide us to the right outcome. This is our task, to become like empty bamboo so that we can feel the vital essence of life through us. Fortunately we are beautifully designed for this purpose, we are the point at which the Yin of earth and the Yang of heaven converge. The more still and the emptier we become, the more we can realise ourselves to be a manifestation of them. As we develop this relationship to these two polarities, the greater we experience their flow until we arrive at a very simple truth, we are intimately connected to everything and a part of lifes unfolding story. In Qigong there is a physical stance called the Wuji. This is the standing posture from which all movement arises. Wuji has been likened to empty bamboo because, before any forms are learnt, first we learn to stand as emptiness. We could call it the shaman’s stance. It relates to the infinite possibilities before the creation of Yin and Yang. As a stance it informs us of what is misaligned and out of balance that prevents wholeness within our being. Through the Wuji we learn to root ourselves, take our place on the ground and stand tall. We learn where to focus our centre of gravity and become mindful of what is obstructing flow within. Most importantly of all, we learn to view earth as a living entity that we have grown out from. Through the Wuji we can experience the integration of Yin and Yang energies in the body and begin to notice the focal point for these energies in the Hara. It is here that Reiki can be gathered as part of our daily preparation. The Wuji is an incredibly useful exercise that helps us become aware of what we are holding onto that prevents the flow of Ki within. Begin rocking forwards and backwards from your heel to your toes whilst maintaining full contact with the earth through the soles of your feet. This will activate the yong quan [bubbling spring] points in your feet. As you continue to rock gently, allow the hips and pelvis to become fluid and part of the movement. After a few minutes, allow the rocking to slowly reduce, winding you in, finding the perfect point of balance and stillness. Allow yourself to become aware of your breath and gently bring your breath deeper down inside your body to your belly. As you begin to feel what you notice inside that requires unwinding, make minute adjustments to your posture so that your skeletal system is supporting you and your muscles can relax as much as possible. Become aware of your spine and allow it to extend upwards vertebra by vertebra as it feels supported by the foundations of feet, legs, hips and pelvis below. feel your neck lengthening and your jaw relaxing. Allow your head to find a point of balance on the top of your spine. When you feel a synergy between, breath, balance and stillness, whilst staying nicely rooted to the earth, imagine opening the top of your head and connecting with the space above you. Breathe, relax and feel the connection between the earth below you, the heavens above, your breath anchoring you to the now and Ki flowing through the emptiness of you. 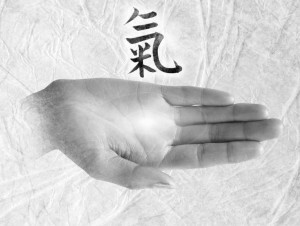 I have been practicing and researching Reiki for nearly two decades and recently I have been drawn to join the debate on what constitutes ‘Traditional Japanese Reiki’ and how it is different from Hawayo Takata’s Usui Shiki Ryoho.. Lately the system of Reiki I was originally taught has become referred to by many somewhat derogatorily in my opinion as ‘Western Reiki’. This is incorrect because the system Hawayo Takata introduced to the World is called ‘Usui Shiki Ryoho’ or sometimes ‘Usui Reiki Ryoho’ , Which means, ‘Usui Style Healing Method’ or ‘The Usui Way’ as I was taught. This system she learnt from Chujiro Hayashi, serving her apprenticeship at his clinic and receiving the master level attunement from him in 1936 four years before he committed seppuku (suicide) at his Villa in Atami near Mt Fuji, an event she was present at. Her system was most definitely tailored for the English speakers she taught in Hawaii. She chose to omit some of the Japanese terminology or rephrased it into English when teaching certain techniques. For example calling Byosen Reikan Ho, Scanning, or Seiheki Chiryo the mental/emotional technique. But when you look deeper into the content of many self styled ‘Original Japanese’ systems that are fashionable today, you will find not only do they share much in common with Hawayo Takata’s teachings but also they share the same lineage with her, connecting through Chujiro Hayashi to Dr Usui. Here is a look at three of these Japanese systems to help you understand where they originated from. It is claimed this system contains Original Usui Reiki Ryoho techniques as practiced by The Usui Reiki Ryoho Gakkai that were omitted from Hawayo Takata’s Western Reiki. This is a system taught by Hiroshi Doi and it’s name means literally “Modern Reiki Method”. 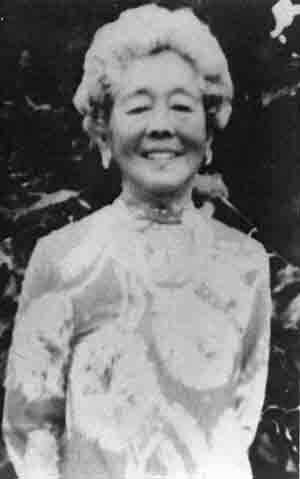 Doi studied with Mieko Mitsui ~ a student of Radiance Technique founder Barbara Ray who famously battled for control of the leadership of Reiki with Hawayo Takata’s grand daughter Philis Furumoto. It’s apparent that Doi has spent a lot of time researching and incorporating many techniques into his Reiki system which isn’t a bad thing. Many teachers do this, myself included and it can be considered a natural progression when being informed by the flow of Ki energy. However what appears to have happened to Gendai Reiki Ho is it has been labelled by it’s followers as the Traditional Japanese Reiki when clearly it is not. Based on the teachings of the late Chiyoko Yamaguchi and created by Tadao Yamaguchi her son in 2000. Chiyoko was a student of Chujiro Hayashi receiving her first level attunement in 1938, two and a half years after Hawayo Takata became a Master. 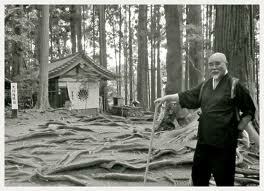 She claimed to be attuned to master level by Chujiro Hayashi and taught Reiki as being the exact system taught by him. Unlike Usui Shiki Ryoho there were no formal hand positions in her method. She instead focused more on the intuitive aspects of giving Reiki stating she was never taught any which is interesting as many claim that it was Chujiro Hayashi himself that introduced formal hand positions to fit in with his approach to clinical Reiki. Although it was claimed she received her master training directly from Chujiro Hayashi, it came to light she actually received instruction to pass attunements from her uncle Wasaburo Sugano who had also been trained by Hayashi. Yamaguchi had no knowledge of the Master symbol being used as a Reiki symbol and it has been suggested by some in her defence, that the symbol was not part of the system then. But as we know Hawayo Takata had already received Master status 2 years before this and she had been instructed to use this symbol by Chujiro Hayashi, so something doesn’t fit. Hyakuten Inamoto director of Komyo Reiki again writes “Mrs. Yamaguchi had no idea about the Master symbol. 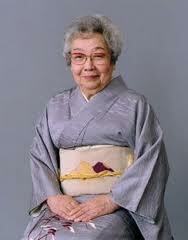 She was taught only Shoden (level 1) and Okuden (level 2) with 3 symbols during a 5-day Reiki course by Hayashi Sensei”. This once again raises some questions, as the Master symbol is intrinsic to the Reiki attunement process in Hawayo Takatas ‘Usui Shiki Ryoho’. Also, unlike Mrs Yamaguchi’s 5 day training into just 2nd degree Reiki, Hawayo Takata’s training with Hayashi-sensei took the form of an extended, full-time apprenticeship to Master level. 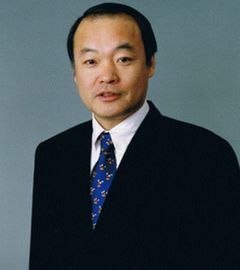 It has been reported by many that he was instructed not to teach Jikkiden as Tadao Yamaguchi wished to be the only individual to bear his mothers direct lineage. Hyakuten however explained it to me directly like this. Komyo Reiki is a Hayashi style ‘Usui Shiki Ryoho’ and focuses on developing a gateway to spiritual awakening and to Satori (Enlightenment). It emphasizes the importance of daily Gassho meditation on the Reiki principles and keeping the system simple without many techniques and has the motto; “Put your hands, Surrender and Smile”. Hyakuten say’s from the Gendai Reiki Ho system, he has only incorporated Hatsurei Ho (Hatsu = Invoke/Generate, Rei = Spirit, Ho = Method). For us in the Takata lineage this is a combination of dry brushing/ cleansing, crystal light meditation (from the crown through the body), Gassho meditation and reciting the five principles. There are many variations on this method that can be found and essentially it is a cleansing/manifestation meditation. 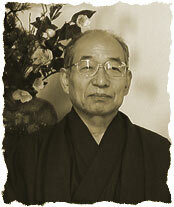 Hyakuten has also incorporated some simple”Mindfulness of breathing” Buddhist practices into his system of Reiki, stating, “As my background is Buddhism I gladly share the teachings of the Buddha, (Enlightened One) in my Reiki classes.” Unlike Chiyoko Yamaguchi, Hyakuten included the master symbol into Komyo Reiki thanks to his ex-teaching partner who became a Reiki Master in a ‘Western Reiki system’. Jikiden Reiki ~ Tadao Yamaguchi ~ Chiyoko Yamaguchi ~ *(Wasaburo Sugano) ~ Chujiro Hayashi. Komyo Reiki ~ Hyakuten Inamoto ~ Chiyoko Yamaguchi ~ *(Wasaburo Sugano) ~ Chujiro Hayashi. Gendai Reiki Ho ~ Mieko Mitsui ~ Barbara Ray ~ Hawayo Takata ~ Chujiro Hayashi. * (Wasaburo Sugano) Omitted from the lineages for some reason. So as you can see all roads lead back to Chujiro Hayashi. It appears to me after years of research into Reiki that the only thing Hawayo Takata omitted from Usui Shiki Ryoho when she introduced it into the West was the Japanese terminology she used to describe it’s content. Since then, there have been many additions to what was a very simple and clear system of Reiki. Her system did concentrate on the healing aspect of Reiki but not to the detriment of personal spiritual development. It sounds to me that she had a pretty good understanding of Reiki and I for one thank her each and every day for the gift she afforded me. Today I wish to discuss the rather contentious issue of charging money for Reiki. I am not going to advise what you should charge here, but rather discuss the reasons in my opinion why it’s a good idea to do so. 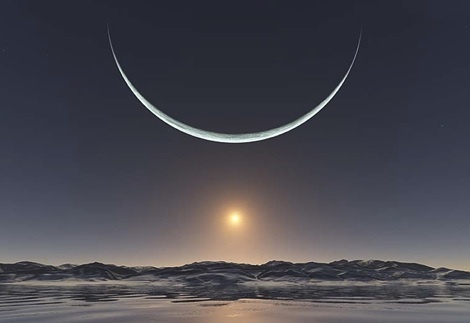 The Winter solstice on the 21st December 2012 is the shortest day and the longest night of the year in the northern hemisphere. The sun arcs at its lowest point on the horizon and remains on the same trajectory for three days and three nights before ascending again on the 25th December. The day’s then become longer and the nights shorter until the spring equinox where night and day are equal in length. Many ancient stone circles and other monuments are aligned with the winter sunrise on the 21st of December. The most famous being Newgrange in Ireland, where a finger of sunlight shines along the dark entrance through a narrow aperture above the monument’s entrance. Many of the symbols of Christmas echo the winter solstices aspect of rebirth and hope in darkness. For example the Winter Solstice was a time when people came out of hibernation and gathered together with family and friends. It was a time of generosity, loving, giving and letting go. People would wrap up unwanted possessions and place them in a basket so that each could choose a gift. It was a time to bring food and drink to share at a feast. To light fires, tell stories, to sing and entertain each other… Holly was thought to be important because it retains its greenery right through the winter months, and as such is a symbol of summer life in the winter starkness. Holly was the male symbol of this greenery, and Ivy was the feminine, the two often placed together in a circle just like the Christmas decorations you find on most peoples doors symbolising the cycle of the seasons and everlasting life at the dark end of the year. There was also a belief that evergreen plants and trees were refuges for the woodland spirits through the winter. Yule was the traditional name for the celebrations around the 25th December, the festival lasted for twelve days, which are now the twelve days of Christmas. The origin of the word Yule seems to originate from the Anglo Saxon word for sun and light. Most likely regarding the rebirth of the sun from the shortest day. The birth of Christ on the 25th December ties in with the Winter solstice celebration of 21st December too. This is the day that the Sun (after three days and nights) is resurrected and ascends into heaven. The resurrection of Christ (The S.u.n of God) isn’t celebrated until Easter time (The Spring Equinox) where the light of the sun actually overpowers the darkness of night and we head towards the summer solstice. The winter solstice is the time where symbolically we are furthest away from the light. Our descent into darkness is almost complete and so this time of the year, marks a significant turning point as the wheel of fortune turns in our favour and we begin once again to move towards the light. The old year has died away and is now prepared for the rebirth of activity and expansion into the outer world. As such it is seen as the festival of rebirth, but it is not a beginning in a linear sense but part of our cycle of death and rebirth. As the outer world has darkened, we have journeyed into the inner realms through introspection and reflection and as the winter solstice heralds a time of letting go we can lay aside all that no longer serves us on our journey. Releasing old energy opens the way for new energy to come in so the winter solstice is the time to birth our visions and dreams and make our resolutions for the coming year. To let go of what you no longer need in your life and focus your intentions on what you do want try these exercises that are drawn from the tradition of winter solstice celebrations and enable you to ritualise this time and set new goals for the future. Spend some time in meditation thinking about the year that has passed and all you have experienced. with pen and paper at the ready, write down all the things that you no longer wish to experience and that no longer serve you in your life. Ideally if you have a fireplace Decorate a wooden log with pieces of paper tied to it with all the things you wish to let go of written on it and place it into the fire. Make it a ritual with a family or group, each stating out loud what they no longer want in their lives as they place the log onto the fire. Christmas day! take a candle and each of you light it and speak out your wishes hopes and intentions for the future year ahead. Place each candle in a large bowl of sand and then let it burn right down to the wick. After all your presents have been opened and the tree looks bare, on New Years Eve, get everyone to write down their dreams and wishes for the year ahead and tie them to the Christmas tree. This is a great ritual if you have a tree with roots and you can then plant it outside and watch it grow through the year.